The Patriots have already lost Malcolm Butler, Danny Amendola and Dion Lewis in free agency, and it looks like they're about to lose their biggest free agent piece of all - Nate Solder. Reports this morning are that it looks very unlikely at this point that Solder will return to New England. The Browns, Giants and Texans have all been rumored to be making big pushes to sign him. One free agent to watch today: #Patriots LT Nate Solder. As of last night, it sounded like #Giants or #Texans… and there wasn’t a lot of optimism that he’d return to New England. If Solder leaves, the Patriots will need to go hard after LaAdrian Waddle, who is also a free agent and played very well for New England the last two years. 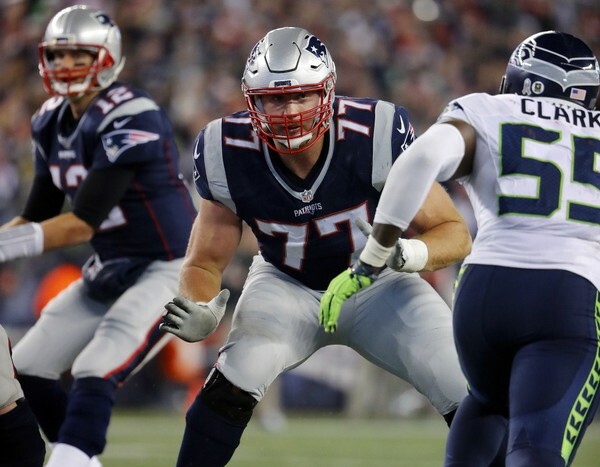 The team does not have much offensive line depth and the free agent class is pretty thin, so it wouldn't be surprising to see the Pats add a lot of linemen in the draft even if they re-sign Solder.